Kim's focus here is on mothers who care for children with disabilities, the exhaustion that comes from doing a mountain of tasks. The first thing that struck me upon my reading of Miracle Creek is how fearless Angie Kim is as a writer. The structure of her novel is intricate and complex, weaving through the lens of multiple characters, offering different viewpoints of a particular event/incident. She keeps most of the narration in the third person, which is a smart move. It also lends itself well to the setting of the courtroom, allowing us to take in the testimony and not be distracted by a first person account of inner angst. The only first person narration we are given is at the beginning in the epilogue, the moments just before the fire and the outside view of the barn after the flames have started their song and dance. Through the testimony we are invited into the inner space of the submarine, with investigations pointing to Elizabeth Ward, mother of Henry Ward, one of the victims in the fire. Elizabeth has been seeking treatment for her autistic son in the HBOT (Hyperbaric Oxygen Therapy). Her strange behaviour on the day in question, as well as her location outside the submarine instead of inside it with her son, is what drenches her with culpability. She was also found with the cigarettes and matches that caused the blaze. This doesn’t mean that our search for the assailant is over. Elizabeth’s mute demeanour in court does not reveal much, though most who look at her believe they see a guilty person. I found myself on the fence, acknowledging that Elizabeth must have at times felt overwhelmed in dealing with Henry’s autism, but uncertain as to whether a mother could allow herself to take her child’s life for that reason. Among the complicated mother-child relationships is Young and her daughter Mary. Young doesn’t understand why there is a distance between them. What she doesn’t know is that Mary resents her for her silent acquiescence to the move to America, despite being strongly against it. She detests her mother for her obedience, for not asserting herself in things that matter. As a result, Mary starts to align herself with her father Pak, the man in charge of the Miracle Submarine, who was noticeably missing from the site when everything went down. Often we see the two in cahoots, trading secrets about the day in question, so much lies and secrets permeating the air that we no longer know what to believe anymore. As a reader, we sympathise with both Young and Mary. A mother would want the best for a child, even if that means a life away from anything familiar. Mary’s position as an outsider displaces her from everything she knows about herself. Even her name has to change – all these efforts for increased assimilation that only result in further estrangement. My favorite thing about this book is the dismantling of the saintly mother archetype that has become a social expectation. Mothers feel like they need to show how much they are doing for their children, to paint over their struggles with pink glow and stardust, to pretend everything is okay when it really isn’t. Kim’s focus here is on mothers who care for children with disabilities, the exhaustion that comes from doing a mountain of tasks, oftentimes with nothing to show for it. Every mother just wants their child to fit in and belong, but it is difficult for these kids when they are marked as different. There is much vulnerability here as these mothers bare their souls to us, their hurt and quiet despair radiating the oblivion that surrounds them always. It is an oblivion they constantly step away from because of their roles as mothers. The characters in Kim’s novel are not bad people, merely good people with very human thoughts. Sometimes these thoughts take on a tangible form, becoming mistakes that develop into fires, destroying in minutes everything that has been so agonisingly build up. 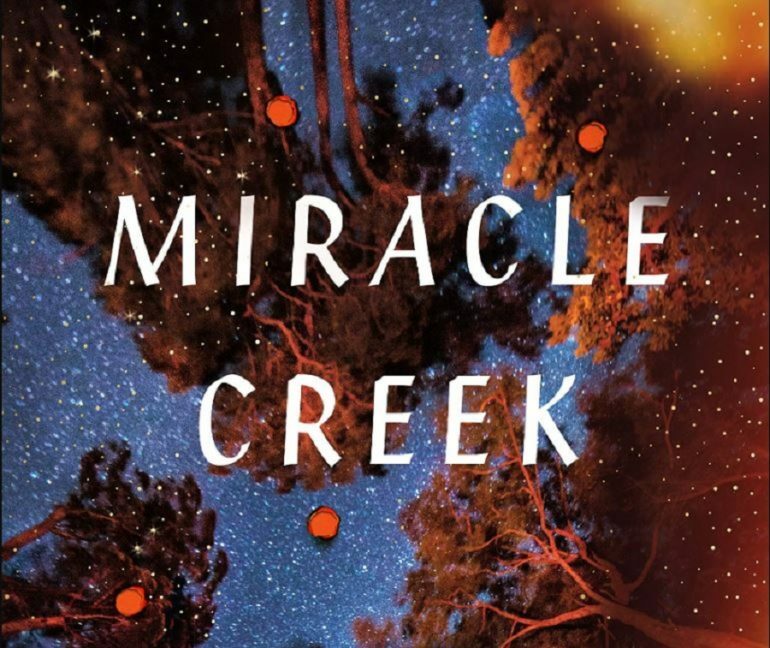 Miracle Creek is about human relationships and human choices, and how we sometimes choose to hide and cloak in secret what we should instead be sharing with those closest to us. Lies and secrets have consequences, so do mistakes. It is these consequences we have to contend with, recognising that truth and morals should always be things to strive for, yet there is great difficulty in accepting those paths. It is the support of those around us that gives us strength to pursue what is right. They help to cushion our fall against the hard reality of life, allowing us to accept and take in our stride our follies and errors, with the hope to do better next time. Kim’s debut captures all the courtroom drama better than any law drama on TV. Thoroughly enjoyable and I strongly suggest you pick this up as your must-have April read.